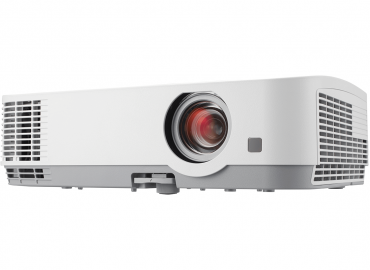 NEC's M and ME Series Multipurpose projectors are ideal for education and small-to-medium-sized business environments that need essential features, including bright images, automatic technologies and eco-friendly appeal. The versatile, colour-coded connections to various sources aid in classroom and conference room use. The environment is kept in mind with ECO Mode™ technology, a carbon savings meter, extended filter life, and energy-saving features such as quick start-up and direct power off.